Learning is a lifelong pursuit. To this end, Deo Mwano expanded his education expertise at College for America at Southern New Hampshire University, an online competency-based learning program for adult students. Deo has served College for America in other notable ways. Different departments at College For America have frequently sought his input and advice. He has lead innovative pilots and partnerships, including one involving Kepler University in Rwanda that scaled from 48 students to 300 students. Spearheading the partnership, Deo focused on cultural relevancy, which resulted in mutual benefits for Kepler University and College For America. Working at College for America presented many challenging for Deo. But he loved every minute of the three and half years he was there. The college gave him the opportunity to collaborate with a diverse and talented group of individuals who, like himself, wanted to make a difference in the lives of others. Together they tackled complex issues encountered during the learning process and found creative ways to overcome them. What Deo learned and discovered from his work at College for America translates across his work as a Speaker, Dancer, Educational Strategist, Choreographer, Life Coach and as a Multi-cultural Activist. 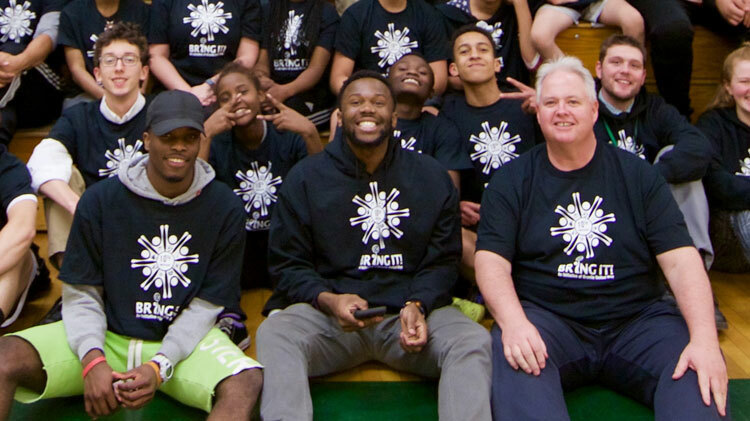 Deo Mwano is the director of I Am My Own Champion (IAMOC), a program he created through BringIt Granite United Way in partnership with The Extended Learning Opportunity Coordinators of The Manchester School District. IAMOC is a program that helps high school students develop and grow learning skills and habits based on how they learn best. It helps students identify how they learn best and then educates and coaches them on how to implement and maintain successful learning skills and habits. Students in the program commit, at minimum, one full semester and those who successfully complete the program earn half a credit towards their graduation requirements. Deo is passionate about driving student success in the traditional school model through the introduction of non-cognitive skills. He is looking to partner with other school districts to offer this education program. This is your opportunity to provide your team with a proven methodology, based on the emotional impact learning has on students. The program will also provide them with the key to identifying with a bigger demographic of students. By identifying with more students, you and your team will see improvement in overall academic success.